Geez, even MSNBC’s Thomas Roberts is saying he thinks the Democrats are in a ‘fever dream’ over Michael Flynn bringing Donald Trump down. He’s right… it’s wild speculation and Flynn is no dummy. First off, the intelligence committees are said to have denied him immunity… the FBI is still considering what to do. But the immunity that Flynn is asking for may not be what they are thinking of. If he considers this a witch hunt, he may be seeking protection in that regard. I can’t see him turning on Trump, if there is anything to turn on. Trust me, from the very beginning I have believed that Flynn was dirty and he is. President Donald Trump’s former national security adviser, Michael Flynn, did not include receiving thousands of dollars in speaking fees from three Russian companies in initial financial disclosures to the Office of Government Ethics, copies of the reports show. In fact, he initially failed to report $45,000 in earnings from a speech he gave during an anniversary gala to Russian English-language news channel Russia Today, The Daily Beast reports. 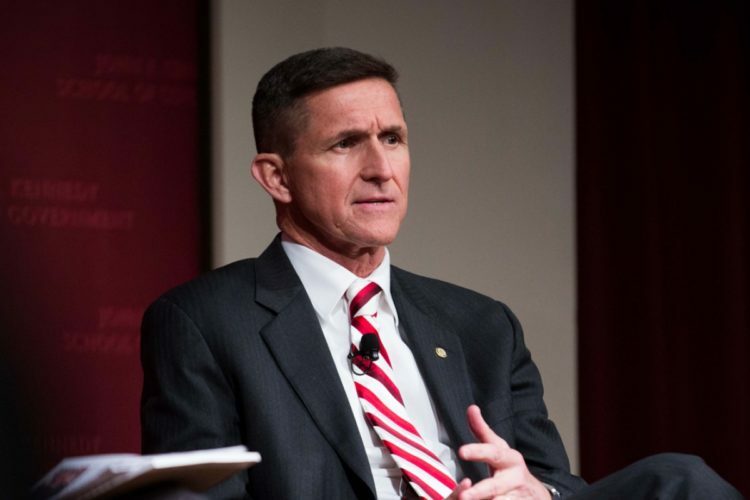 Flynn also received more than $1.3 million for work for political groups and government contractors, as well as for lobbying for a firm owned by a Turkish businessman. The information was made public Saturday by the White House after Flynn submitted an amended disclosure statement. MSNBC’s Thomas Roberts cautioned Democrats Saturday, saying they are in a “fever dream” and letting themselves “get the cart before the horse” over the report that President Donald Trump’s former national security advisor retired Gen. Mike Flynn asked for immunity in exchange for his testimony in the investigation into Russian ties to the president. But the sins of Flynn, do not translate into sins for Trump. Unless a solid connection to Russia is found, it won’t stick to Trump and Flynn is unlikely to testify giving that connection. Pressure is building for Flynn to testify without immunity… and he’d better tread carefully. He’s very close to going to prison at this point whether he gets that or not. It all depends on the mood of Congress. I’m puzzled why the FBI hasn’t made a deal with Flynn. In a confusing development, the House Permanent Select Committee on Intelligence has denied that Flynn offered to testify in exchange for immunity. Flynn’s son also says that. So, it is hard to tell what is happening here. Trump is defending Flynn who had previously said that those looking for immunity have probably committed a crime. Asking for immunity is not an admission of guilt. But there is no doubt that Flynn is under investigation by the House and Senate intelligence committees. You can add the FBI to that list. But the Dems are putting the cart before the horse here, salivating over fevered dreams of corruption.